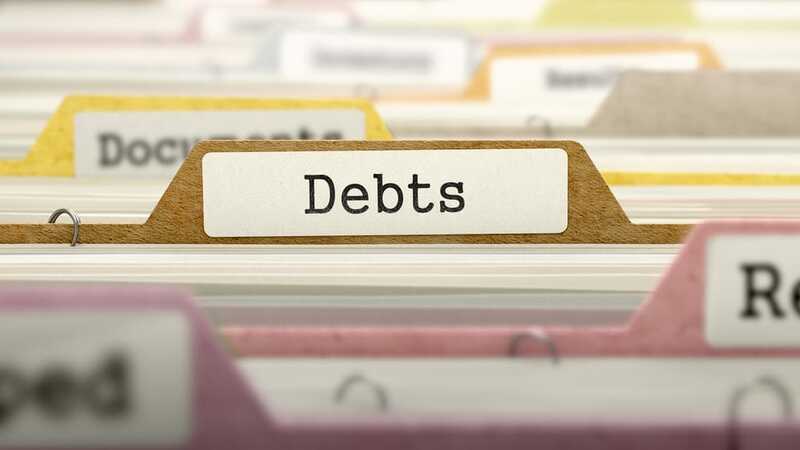 Which Debts Can Be Discharged Through Bankruptcy? While bankruptcy is often seen as a scary term, it’s actually an invaluable strategy in earning a clean financial slate. Reducing the overall burden of a difficult financial situation can be a great relief for many. But many do not know that a bankruptcy doesn’t clear all debts. In fact, some debts may be impossible to discharge altogether. According to statistics put forth by the American Bankruptcy Institute, bankruptcies have dropped to 770,000 in 2016 from 1.5 million in 2010. That relatively short seven-year difference shows the massive change in the economy and how it has improved over time. But while this success is certainly easy to appreciate, it’s necessary to point out that some debts remain difficult to discharge altogether. One of the most frequently questioned debts for bankruptcy discharge is money that is owed for taxed. Most seeking bankruptcy are disappointed to learn that most federal tax debts cannot be eliminated through bankruptcy. On the other hand, personal income taxes can be eliminated if the tax due date was at least three years before the bankruptcy petition. Moreover, the debtor would have had to file a tax return at least two years before seeking bankruptcy and they can’t have filed a new assessment of taxes or have filed an amended return for at least 240 days before looking into bankruptcy. These strict parameters make it very difficult to discharge these debts. Student loans are another form of debt that has long been difficult or nearly impossible to discharge. And yet, student loans are among the most prevalent loans in the United States, with over 40 million Americans having some kind of outstanding student loans. Fortunately, the way student loans are treated in bankruptcy has recently been under reconsideration, with less strict parameters in place. However, there’s still a long way to go if student loans will ever reach a point where they can be discharged completely. Domestic support obligations, such as alimony or child support, are also non-dischargeable debts in bankruptcy even though they are a major financial burden in the United States. Beyond non-dischargeable debts lie all sorts of little terms and contingencies that could completely stop a debt from being dischargeable. For example, if a person buys a luxury item within 90 days before filing for bankruptcy, that can be ruled as non-dischargeable. This is a reasonable safeguard to prevent fraudsters from simply racking up debt only to discharge the debt later. But “luxury” is a term that’s largely subjective. Something as common as a dental implant surgery could be seen as a luxury item, even though it may be a necessary procedure. Even when charges do get discharged, there are certain terms that must be followed in order for a bankruptcy to go smoothly. Even overlooking a single step can make a bankruptcy situation difficult. While bankruptcies have plummeted in recent years, they can still be very difficult to navigate. If you or someone you know is considering bankruptcy, don’t do it alone. Get the help of an experienced bankruptcy lawyer who can make the process as comprehensive and smooth as possible. Contact Joel Spivack today!